A damper is basically a door that is used to open and close the flue to let the smoke out when you’re using the fireplace and prevent cold air from entering the house when you’re not having a fire. A broken or inefficient damper will cause your house to feel cold and drafty and cost much more to heat. The action of hot air rising will cause your heat to go up the chimney while cold air is also pulled into the house. Usually, fireplace dampers are made out of cast iron or steel and in time can become cracked or warped. Sometimes the handles or hinges break and they can become a nuisance or a hassle to use properly. What is the solution to chimney damper problems? 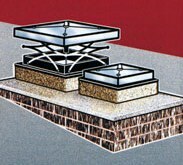 The best solution is to replace an inefficient or broken damper with a “top seal” damper. This type of damper sits at the top of the chimney with a cable running down the flue to a handle mounted in the fireplace. The key advantage is that since the damper is up and away from the fire it has a rubber or silicon seal and therefore when it is closed it seals tightly. When closed it also acts as a cap and shuts off the top of the chimney completely to keep birds, animals and rain or snow out of chimney. Another advantage is that the handle is easy to use and it is easy to see at a glance if the damper is open or closed. 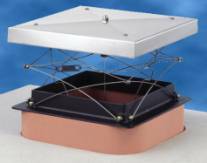 The top seal dampers that we install are of the highest quality and carry a lifetime warranty. Stop heating all of Colorado and start saving money on your heating and cooling bills. Call Chimney Jack today for your brick repair needs or a free damper inspection!